Like a bad breakup, or a really great stack of pancakes, the Toyota Tacoma is one of those vehicles you can’t forget once you’ve driven it. Even more unforgettable, though, is the Toyota TRD series. 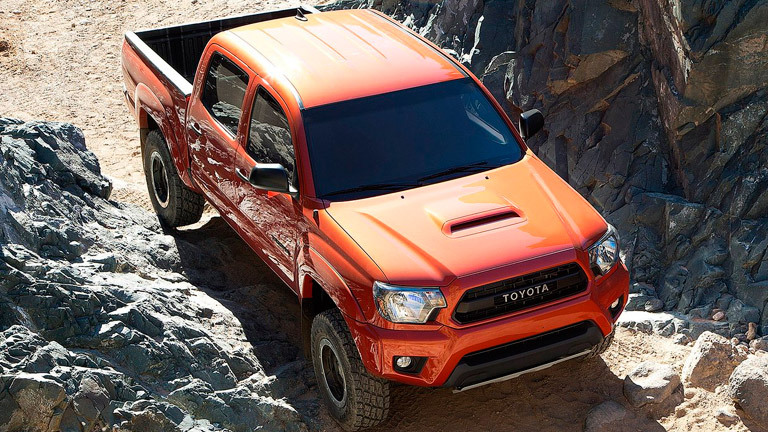 The TRD Pro series is Toyota’s premier off-road, sport-tuned lineup that focuses specifically on high performance. The TRD Pro series was inspired by the off-road technology and ruggedness that Toyota loves and its vehicles were meant for. The 2015 Toyota Tacoma TRD Pro Brampton ON is available at Attrell Toyota, and is the perfect vehicle for drivers who are looking for a little more versatility and durability than your average car or SUV, but don’t want to commit to a fully-loaded heavy-duty pickup. Check it out today at Attrell Toyota! Proven to be a high-quality, sports-centered vehicle, the 2015 Toyota Tacoma TRD Pro is the vehicle you want on your side when the going gets tough. It is designed to be incredibly durable and recognizable, and features the heritage-inspired TRD Pro-labeling of the word “TOYOTA” in all capital letters on the grille. It also features smoked headlights and a very definitive hood style. The 2015 Tacoma has style, attitude and strength to easily tackle any adventure. It comes with available all-terrain tires, 16-inch wheels and a larger 2.5-inch TRD-tuned Bilstein shocks. This is just another reason why we love the 2015 Tacoma for off-roading and why it has proven to be such a reliable, effective vehicle for any situation. Get the 2015 Toyota Tacoma TRD Pro Brampton ON today at Attrell Toyota! The main difference between the 2015 Tacoma and the 2015 Tacoma TRD Pro is that the latter is perfected for sporty handling. However, there is more to the 2015 Tacoma than just being a sporty vehicle. it also comes with a ton of cool features. Toyota is known for its quality, reliable off-road vehicles and the 2015 Tacoma is just that. 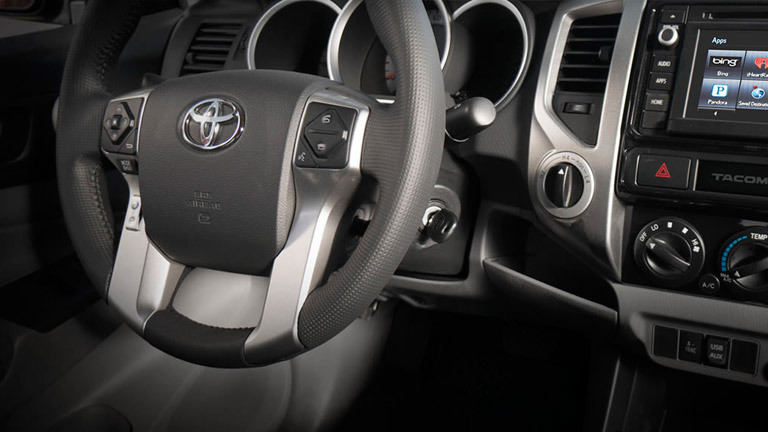 The 2015 Tacoma TRD Pro is lifted 2.5 inches more than any of the “regular” Tacoma models, and it also comes with the choice of four-wheel drive and manual transmission in both medium and large cab sizes. The 2015 Tacoma TRD Pro’s smooth, quiet ride, neat features and impeccable handling make the Toyota Tacoma TRD Pro the talk of the town. Find out more today at Attrell Toyota!